Thammasat University Scholarships are now open to pursue Master of Arts in Asia-Pacific Studies (MAPS) for the year 2017. Applicants from all over the world, with particular focus in ASEAN countries, are welcome to apply. Number of Scholarships: Many (2017/18 Intake). 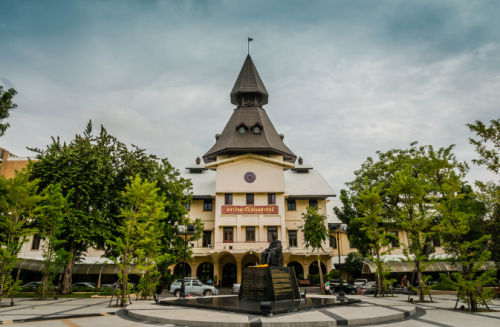 Thammasat University requires all students who are not native speakers to meet the minimum score of English proficiency as a graduation requirement; therefore, students who have not met minimum requirement or have not yet submitted English Proficiency Test score are required to submit an official report of English proficiency to the University upon graduation. Study Subject: Scholarships are awarded in Asia Pacific Studies. Scholarship Award: For scholarship applicant, the 1,000 Baht can be made on the first day of class (if you are accepted to the program). Just proceed with the application as usual. Course Level: Scholarships are available for pursuing Master of Arts program. Nationality: Applicants from all over the world, with particular focus in ASEAN countries, are welcome to apply. The minimum requirement for English Proficiency is 6.5 for IELTS, 550 for paper-based TOEFL test, 79 for internet-based TOEFL test, and 213 for computer-based TOEFL test or 550 for TU-GET. The official score report of English Proficiency is valid only if the test was taken no more than 2 years prior to the last date of the application submission period. 3. The requirement for English Proficiency does not apply for native English speakers. Now that all the information about Thammasat University Scholarships for International Students in Thailand has been delivered nicely; talented students who are eager to pursue their Free Tuition/Scholarships/Study in Thailand can apply now.